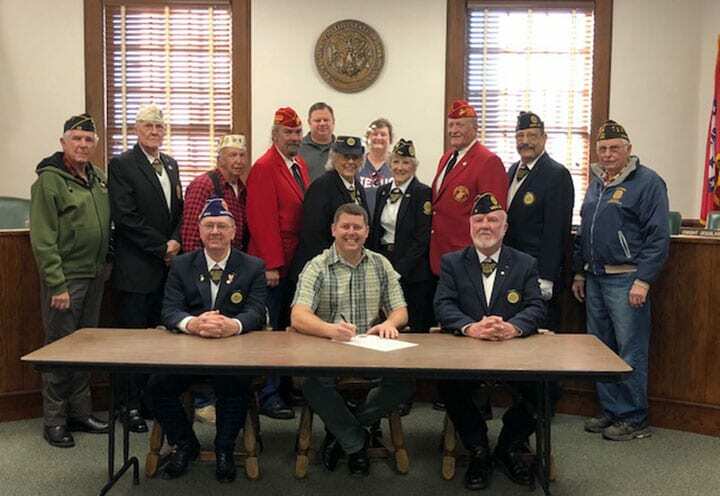 (MENA) — Mena Mayor Seth Smith signed a proclamation on Monday, March 25th, designating March 29th as National Vietnam Veterans Day in the City of Mena. This holiday will be observed annually on March 29th. In a ceremony attended by various veterans from the area, including representatives from the Polk County Veterans Honor Guard; the Mayor noted that the American Legion Post 18 of Mena, will place American flags on Mena Street to honor Vietnam Veterans and to also promote American Patriotism. 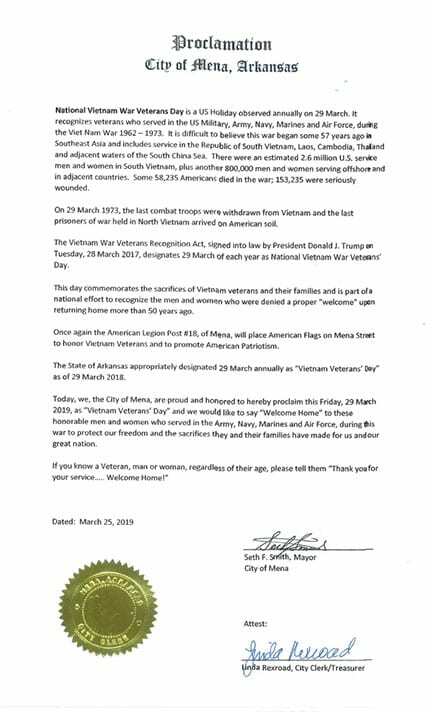 President Donald J. Trump signed the Vietnam War Veteran Recognition Act, into law on March 28, 2017, designating March 29th of each year as the National Vietnam War Veterans Day. The State of Arkansas appropriately designated the day, on March 29, 2018.